14 Priority Sector lending by Banks to SCs, STs, OBCs, differently abled persons and the Minorities. SOCIAL JUSTICE AND EMPOWERMENT Main Committee Ministry of Social Justice and Empowerment (Department of Social Justice and Empowerment and Department of Empowerment of Persons with Disabilities), Ministry of Tribal Affairs and Ministry of Minority Affairs. 15 Grants-in-aid to NGOs working for social welfare and evaluation of their functioning. SOCIAL JUSTICE AND EMPOWERMENT Main Committee Ministry of Social Justice and Empowerment (Department of Social Justice and Empowerment and Department of Empowerment of Persons with Disabilities), Ministry of Tribal Affairs and Ministry of Minority Affairs. 1 The Rights of Persons with Disabilities Bill, 2014 SOCIAL JUSTICE AND EMPOWERMENT 16/09/2014 Fifteenth Report of the Committee on the Bill presented to Parliament on 7.5.2015. 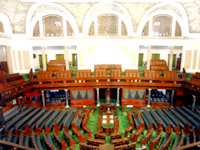 2 The Constitution (Scheduled Castes) Orders (Amendment) Bill, 2014 SOCIAL JUSTICE AND EMPOWERMENT 16/09/2014 Fifth Report of the Committee on the Bill presented to Parliament on 19.12.2014. 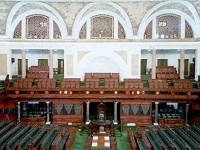 3 The Waqf Properties (Eviction of Unauthorized Occupants) Bill, 2014 MINORITY AFFAIRS 16/09/2014 Twentieth Report of the Committee on the Bill presented to Parliament on 12.8.2015. 4 The Scheduled Castes and the Scheduled Tribes (Prevention of atrocities) Amendment Bill, 2014 SOCIAL JUSTICE AND EMPOWERMENT 16/09/2014 Sixth Report of the Committee on the Bill presented to Parliament on 19.12.2014. 00:15 Bais, Shri Ramesh ,Ghubaya, Shri Sher Singh ,Munda, Shri Kariya ,Raj, Dr. Udit ,Verma, Smt. Chhaya , Briefing by the representatives of the Ministry of Social Justice and Empowerment (Department of Empowerment of Persons with Disabilities) on "Review/functioning of Rehabilitation Council of India (RCI)". 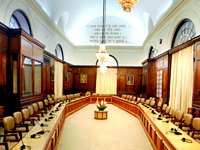 Sitting of the Committee could not be held due to lack of quorum. 1 Jamnagar, Mumbai and Bhubaneswar from 15.01.2019 to 19.01.2019 (5 days) Bais, Shri Ramesh ,Singh, Kunwar Bharatendra ,Thakur, Smt. Mamata ,Chaudhary, Shri Santokh Singh ,Lokhande, Shri Sadashiv Kisan ,Raj, Dr. Udit ,Baidya, Smt. Jharna Das ,Hembram, Smt. Sarojini ,Verma, Smt. Chhaya ,Verma, Shri Ramkumar ,Syiem, Smt. Wansuk , Places Visited: Jamnagar, Mumbai and Bhubaneswar Organizations Visited: Swami Vivekanand National Institute for the Rehabilitation Training & Research (SVNIRTAR), Cuttack Jamnagar: Held discussion with the representatives of Bank of Baroda on Priority Sector lending to SCs, STs, OBCs, Minorities and Persons with Disabilities. Held discussion with the representatives of Hindustan Petroleum Corporation Ltd. (HPCL) and Ministry of Petroleum and Natural Gas regarding reservation to SCs, STs, OBCs and Persons with Disabilities in HPCL. Held discussion with the representatives of Oil and Natural Gas Commission (ONGC) and Ministry of Petroleum and Natural Gas regarding reservation to SCs, STs, OBCs, and Persons with Disabilities in ONGC. Mumbai: Held discussion with the representatives of Power Grid Corporation of India Ltd. and Ministry of Power regarding reservation to SCs, STs, OBCs and Persons with Disabilities in Power Grid Corporation of India Ltd. Held discussion with the representatives of Bank of Maharashtra on Priority Sector lending to SCs, STs, OBCs, Minorities and Persons with Disabilities. Held discussion with the representatives of Oil India Ltd. (OIL) and Ministry of Petroleum and Natural Gas regarding reservation to SCs, STs, OBCs and Persons with Disabilities in OIL. Held discussion with the representatives of Shipping Corporation of India Ltd. and Ministry of Shipping regarding reservation to SCs, STs, OBCs, and Persons with Disabilities in Shipping Corporation of India Ltd. Bhubaneswar Visited Swami Vivekanand National Institute for the Rehabilitation Training & Research (SVNIRTAR), Cuttack and held discussion with the officials of the Institute and representatives of the Ministry of Social Justice and Empowerment (Department of Empowerment of Persons with Disabilities). Held discussion with the representatives of National Aluminium Co Ltd. (NALCO) and Ministry of Mines regarding reservation to SCs, STs, OBCs and Persons with Disabilities in NALCO. Held discussion with the representatives of National Thermal Power Corporation (NTPC) and Ministry of Power regarding reservation to SCs, STs, OBCs and Persons with Disabilities in NTPC. 2 Dharamshala, Jammu and Srinagar from 30.04.2018 to04.05.2018 Bais, Shri Ramesh ,Hikaka, Shri Jhina ,Ghubaya, Shri Sher Singh ,Maragatham, Smt. K. ,Thakur, Smt. Mamata ,Reddy, Shri Ch. Malla ,Yadav, Dr. Karan Singh ,Lokhande, Shri Sadashiv Kisan ,Roy (Banerjee), Smt. Satabdi ,Verma, Smt. Chhaya ,Syiem, Smt. Wansuk ,Vijila Sathyananth, Smt. ,Verma, Shri Ramkumar ,Hassan, Shri Ahamed ,Hembram, Smt. Sarojini , Places - Dharamshala, Jammu and Srinagar Dharamshala - Visited Voluntary Organisation/NGO working for welfare of Scheduled Tribes (Rinchen Zangpo Society for Spiti Development, Dharamshala) and held discussion with the officials of NGO and representatives of Ministry of Tribal Affairs. Visited Regional Resource and Training Centre (RRTC) for Drug Prevention (Gunjan Organization for Community Development, Dharamshala) and held discussion with the officials of the Organization and representatives of Ministry of Social Justice and Empowerment (Department of Social Justice and Empowerment).Held discussion with the representatives of Oriental Bank of Commerce (OBC) on Priority Sector lending to SCs, STs, OBCs, Minorities and differently abled persons. Jammu - Held discussion with the representatives of Jammu & Kashmir SCs, STs & OBCs Development Corporation Ltd. (SCA to NSFDC), representatives of Department of Social Justice and Empowerment and NSFDC regarding implementation of various Schemes of NSFDC in the State of Jammu & Kashmir. Held discussion with the representatives of UCO Bank on Priority Sector lending to SCs, STs, OBCs, Minority and Persons with Disabilities. Held discussion with the representatives of Bharat Sanchar Nigam Limited (BSNL) and Ministry of Communications (Department of Telecommunications) regarding reservation to SCs, STs, OBCs, and Persons with Disabilities in BSNL. Srinagar - Held discussion with the representatives of Gas Authority of India Ltd. (GAIL) and Ministry of Petroleum and Natural Gas regarding reservation to SCs, STs, OBCs and Persons with Disabilities in GAIL.Held discussion with the representatives of Jammu and Kashmir State Womens Development Corporation and Jammu and Kashmir State Finance Corporation (SCA to NMDFC), representatives of Ministry of Minority Affairs and NMDFC regarding implementation of various Schemes of NMDFC in the State of Jammu & Kashmir. Held discussion with the representatives of National Hydroelectric Power Corporation Ltd. (NHPC) and Ministry of Power regarding reservation to SCs, STs, OBCs and Persons with Disabilities in NHPC. 3 Lakshadweep, Kochi and Bengaluru from 15.01.2018 to 19.01.2018 Bais, Shri Ramesh ,Kulaste, Shri Faggan Singh ,Ghubaya, Shri Sher Singh ,Lokhande, Shri Sadashiv Kisan ,Raj, Dr. Udit ,Reddy, Shri Ch. Malla ,Singh, Kunwar Bharatendra ,Thakur, Smt. Mamata ,Hassan, Shri Ahamed ,Hembram, Smt. Sarojini ,Vijila Sathyananth, Smt. ,Verma, Smt. Chhaya , Places - Lakshadweep, Kochi and Bengaluru Lakshadweep - Held meeting with the Administrator and other officials of Lakshadweep, representatives of Ministry of Tribal Affairs and Ministry of Minority Affairs regarding implementation of various schemes for welfare and development of Scheduled Tribes and meeting with the representatives of the Lakshadweep Development Corporation Ltd.Tribal Cooperative Marketing Development Federation of India Limited (TRIFED) and representatives of Ministry of Tribal Affairs regarding implementation of various schemes of the National Scheduled Tribes Finance and Development Corporation (NSTFDC) and TRIFED in Lakshadweep, Visited Karuna Bhavan Social Centre, Sreemoolanagar, Kalady, Ernakulam, an NGO implementing integrated Programme for Welfare of Older Persons and held meeting with the officials of the NGO and Department of Social Justice and Empowerment. Kochi - Held meeting with the representatives of Kerala State Development Corporation for Scheduled Castes and Scheduled Tribes Ltd. and Kerala State Womens Development Corporation and representatives of Department of Social Justice and Empowerment regarding impact analysis of Micro Credit Finance Scheme of National Scheduled Caste Finance and Development Corporation (NSFDC) in the State of Kerala and meeting with the Officials of Bharat Petroleum Corporation Ltd. (BPCL) regarding reservation to SCs, STs, OBCs, and Persons with Disabilities in BPCL. Bengaluru - Held meeting with the Officials of Hindustan Aeronautics Ltd. (HAL) regarding reservation to SCs, STs, OBCs, and Persons with Disabilities in HAL.Held meeting with the Officials of Bharat Heavy Electricals Ltd. (BHEL) regarding reservation to SCs, STs, OBCs, and Persons with Disabilities in BHEL.Held meeting with the Officials of Indian Oil Corporation Ltd. (IOCL) regarding reservation to SCs, STs, OBCs, and Persons with Disabilities in IOCL. Held meeting with the representatives of Canara Bank on Priority Sector lending to SCs, STs, OBCs, Minorities and Persons with Disabilities. 4 31/05/2017 to 3/06/2017 Bais, Shri Ramesh ,Chaudhary, Shri Santokh Singh ,Ghubaya, Shri Sher Singh ,Lokhande, Shri Sadashiv Kisan ,Maragatham, Smt. K. ,Naik, Prof. Seetaram Ajmeera ,Roy (Banerjee), Smt. Satabdi ,Singh, Shri Bharatendra ,Baidya, Smt. Jharna Das ,Hassan, Shri Ahamed ,Hembram, Smt. Sarojini ,Vijila Sathyananth, Smt. ,Verma, Smt. Chhaya , GOA, COIMBATORE AND OOTY Meeting with the representatives of Department of Empowerment of Persons with Disabilities and ALIMCO regarding implementation of scheme of Assistance to Disabled Persons for Purchase/Fitting of Aids/Appliances (ADIP) in the State of Goa. Meeting with the representatives of Vijaya Bank on Priority Sector lending to SCs, STs, OBCs, Minorities and differently abled persons. Meeting with the representatives of Tamil Nadu Adi Dravidar Housing & Development Corporation (SCA of NSFDC) and representatives of Department of Social Justice and Empowerment regarding impact analysis of Micro Credit Finance Scheme of NSFDC in the State of Tamil Nadu. Meeting with the representatives of Indian Overseas Bank on Priority Sector lending to SCs, STs, OBCs, Minorities and differently abled persons. Meeting with the representatives of Tamil Nadu Minorities Economic Development Corporation (SCA of NMDFC) and representatives of Ministry of Minority Affairs regarding implementation of various Schemes of NMDFC in the State of Tamil Nadu. Meeting with the representatives of Indian Bank on Priority Sector lending to SCs, STs, OBCs, Minorities and differently abled persons. 6 20.6.2016 to 24.6.2016 (5 days) Bais, Shri Ramesh ,Singh, Shri Bharatendra ,Chaudhary, Shri Santokh Singh ,Ghubaya, Shri Sher Singh ,Hikaka, Shri Jhina ,Khuba, Shri Bhagwanth ,Lokhande, Shri Sadashiv Kisan ,Naik, Prof. Seetaram Ajmeera ,Phoole, Sushree Sadhvi Savitri Bai ,Raj, Dr. Udit ,Roy (Banerjee), Smt. Satabdi ,Sonker, Smt. Neelam ,Thakur, Smt. Mamata ,Hembram, Smt. Sarojini , Lucknow - (i) Held discussion with the Chief Secretary, Government of Uttar Pradesh regarding implementation of schemes for welfare and development of SCs, STs, OBCs, Minorities and differently abled persons. (ii) Held meeting with the representatives of the U.P. Minorities Financial Development Corporation Limited and representatives of National Minorities Development and Finance Corporation (NMDFC). (iii) Visited Artificial Limb Manufacturing Corporation (ALIMCO), Kanpur followed by discussion with the officials of ALIMCO. (iv) Held meeting with the representatives of Syndicate Bank on Priority Sector lending to SCs, STs, OBCs, differently abled persons and Minorities. (v) Held meeting with the representatives of Uttar Pradesh Sahkari Gram Vikas Bank Limited regarding impact analysis of the micro credit finance scheme and representatives of National Backward Classes Finance and Development Corporation (NBCFDC). (vi) Held meeting with the representatives of Oriental Bank of Commerce on Priority Sector lending to SCs, STs, OBCs, Minorities and differently abled persons. Chandigarh - (vii) Visited Post Graduate Institute of Medical Education and Research (PGIMER), Chandigarh regarding drug addiction treatment and Residential Rehabilitation of Persons affected by Alcoholism and substance (drug) abuse in Punjab. (viii) Held discussion with the Chief Secretary, Government of Punjab regarding implementation of schemes for welfare and development of SCs, STs, OBCs, differently abled persons, Minorities and persons affected with drug abuse. (ix) Held meeting with the representatives of the Industrial Finance Corporation of India (IFCI) regarding role of the Corporation in implementation of the Venture Capital Fund Scheme for Scheduled Castes. (x) Held meeting with the representatives of Punjab SC Land Development and Finance Corporation and Chandigarh Child and Women Development Corporation Limited regarding implementation of various schemes for the welfare of differently abled persons and the representatives of National Handicapped Finance and Development Corporation (NHFDC). (i) Review of the functioning of the National Minorities Development and Finance Corporation (NMDFC). (ii) Priority Sector lending by Banks to SCs, STs, OBCs, differently abled persons and the Minorities. (iii) Review of the functioning of the National Backward Classes Finance and Development Corporation (NBCFDC). (iv) Persons affected by Alcoholism and substance (drug) abuse, their treatment/rehabilitation and role of voluntary organizations. (v) Review of the functioning of the National Handicapped Finance and Development Corporation (NHFDC). 7 Guwahati, Shillong and Kolkata from 20 to 25 January, 2016 (6 days). Bais, Shri Ramesh ,Sonker, Smt. Neelam ,Phoole, Sushree Sadhvi Savitri Bai ,Lokhande, Shri Sadashiv Kisan ,Singh, Shri Bharatendra ,Maragatham, Smt. K. ,Naik, Prof. Seetaram Ajmeera ,Ghubaya, Shri Sher Singh ,Thakur, Smt. Mamata ,Roy (Banerjee), Smt. Satabdi ,Hassan, Shri Ahamed ,Vijila Sathyananth, Smt. , Guwahati - (i) Held discussion with the representatives of the Government of Assam regarding implementation of schemes for Welfare and Development of SCs, STs, OBCs and the Minorities. (ii) Held meeting with the representatives of the Small Industries Development Bank of India (SIDBI) on Priority Sector lending to SCs, STs, OBCs, Persons with Disabilities and the Minorities. (iii) Held meeting with the representatives of the Tribal Cooperative Marketing Development Federation of India Limited (TRIFED) regarding “Market Development for Tribal Products/Produce”. (iv) Held meeting with the representatives of Assam Gramin Vikas Bank regarding impact analysis of beneficiaries assisted through NSTFDC concessional finance. (v) Held meeting with the representatives of Central Bank of India on priority sector lending to SCs, STs, OBCs, Persons with Disabilities and the Minorities. Shillong - (vi) Held discussion with the representatives of the Government of Meghalaya regarding persons affected by Alcoholism and substance (drug) abuse, their treatment/rehabilitation and Displacement of Tribal People due to Developmental Projects & their rehabilitation. (vii) Held meeting with the representatives of Meghalaya Cooperative Apex Bank Limited regarding impact analysis of beneficiaries assisted through NSTFDC concessional finance. (viii) Visited Tribal Areas in Mawkdok and interacted with the tribal people. (ix) Held meeting with the representatives of State Bank of India on priority sector lending to SCs, STs, OBCs, Persons with Disabilities and the Minorities. Kolkata - (x) Held meeting with the representatives of United Bank of India on priority sector lending to SCs, STs, OBCs, Persons with Disabilities and the Minorities. (xi) Held meeting with the representatives of Allahabad Bank on priority sector lending to SCs, STs, OBCs, Persons with Disabilities and the Minorities. (i)Review of the functioning of the Tribal Cooperative Marketing Development Federation of India Limited (TRIFED). (ii) Persons affected by Alcoholism and substance (drug) abuse, their treatment/rehabilitation and role of voluntary organizations. (iii)Priority Sector lending by Banks to SCs, STs, OBCs, differently abled persons and the Minorities. 8 Mumbai, Kolkata and Hyderabad from 8 to 12 June, 2015. 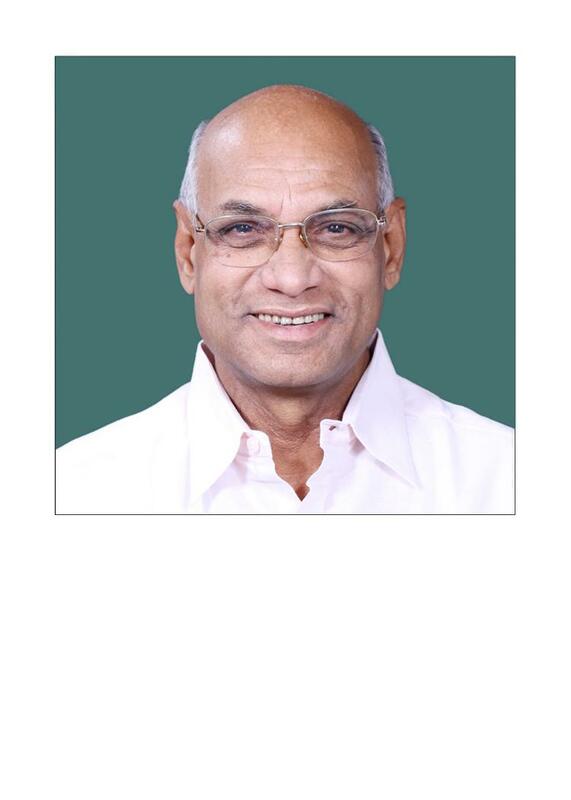 Shri Ramesh Bais –Hon’ble Chairman, Smt. Satabdi Roy, Shri Sher Singh Ghubaya, Shri Jhina Hikaka, Shri Sadashiv Lokhande, Shri Asaduddin Owaisi, Smt. Mamta Thakur, Dr. Udit Raj, Shri A.S.R. Naik, Shri Ahamed Hassan Mumbai, Kolkata and Hyderabad. Mumbai - Held discussion with the Chief Secretary, Government of Maharashtra regarding implementation of schemes for Welfare and Development of SCs, STs, OBCs, differently abled persons and the Minorities.Held meeting with the representatives of Maharashtra Rajya Itar Magas Vargiya Vitta Ani Vikas Mahamandal Ltd. regarding impact analysis of the micro credit finance scheme. Held meeting with the representatives of Union Bank of India on Priority Sector lending to SCs, STs, OBCs, differently abled persons and the Minorities. Heard views of the representatives of Maharashtra State Waqf Board on “The Waqf Properties (Eviction of Unauthorized Occupants) Bill, 2014”. Held meeting with the representatives of Bank of Maharashtra on Priority Sector lending to SCs, STs, OBCs, differently abled persons and the Minorities. Kolkata - Held discussion with the Chief Secretary, Government of West Bengal regarding implementation of schemes for Welfare and Development of SCs, STs, OBCs, differently abled persons and the Minorities. Held meeting with the representatives of UCO Bank on Priority Sector lending to SCs, STs, OBCs, differently abled persons and the Minorities. Heard views of the representatives of West Bengal State Waqf Board on “The Waqf Properties (Eviction of Unauthorized Occupants) Bill, 2014”. Held meeting with the representatives of West Bengal SCs & STs Development & Finance Corporation regarding impact analysis of the micro credit finance scheme. Hyderabad - Held discussion with the Chief Secretary, Government of Andhra Pradesh regarding implementation of schemes for Welfare and Development of SCs, STs, OBCs, differently abled persons and the Minorities. Heard views of the representatives of Andhra Pradesh and Telangana State Waqf Boards on “The Waqf Properties (Eviction of Unauthorized Occupants) Bill, 2014”. Held meeting with the representatives of the Tribal Cooperative Marketing Development Federation of India Limited (TRIFED) regarding “Market Development for Tribal Products/Produce”. Held meeting with the representatives of Andhra Bank on Priority Sector lending to SCs, STs, OBCs, differently abled persons and the Minorities. 9 Bengaluru, Chennai and Panaji from 27 to 31 January, 2015 Shri Ramesh Bais – Honble Chairman, Shri Kunwar Bharatendra, Shri A.S.R. Naik, Smt. Satabdi Roy, Smt. Neelam Sonkar, Smt. Jharna Das Baidya and Shri Ahamed Hassan. Places - Bengaluru, Chennai and Panaji. Organization - National Institute for Empowerment of Persons with Multiple Disabilities (NIEPMD), at East Coast Road, Muttukadu, Chennai. Bengaluru - Held discussion with the representatives of Government of Karnataka regarding implementation of schemes for Welfare and Development of SCs, STs, OBCs and “The Rights of Persons with Disabilities Bill, 2014”, heard views of the representatives of Karnataka State Waqf Board on “The Waqf Properties (Eviction of Unauthorized Occupants) Bill, 2014”, held meeting with the representatives of Vijaya Bank on Priority Sector lending to SCs, STs, OBCs, differently abled persons and the Minorities, held meeting with the representatives of Corporation Bank on Priority Sector lending to SCs, STs, OBCs, differently abled persons and the Minorities. Chennai - Visited National Institute for Empowerment of Persons with Multiple Disabilities (NIEPMD), at East Coast Road, Muttukadu, and held meeting with the officials of the Institute, heard the views of NGOs/organizations (Disability Rights Alliance, Tamil Nadu) on “The Rights of Persons with Disabilities Bill, 2014”, held discussion with the representatives of Government of Tamil Nadu regarding implementation of schemes for Welfare and Development of SCs and STs, held meeting with the representatives of Indian Bank on Priority Sector lending to SCs, STs, OBCs, differently abled persons and the Minorities. Panaji - Held meeting with the representatives of Dena Bank on Priority Sector lending to SCs, STs, OBCs, differently abled persons and the Minorities, held meeting with the representatives of Bank of India on Priority Sector lending to SCs, STs, OBCs, differently abled persons and the Minorities. 17 (16 Lok Sabha) Statement showing final Action Taken by the Government on the observations/recommendations contained in the Seventeenth Report of the Standing Committee on Social Justice and Empowerment (Sixteenth Lok Sabha) on Action taken by the Government on the observations/ recommendations contained in the Second Report of the Committee (Sixteenth Lok Sabha) on Demands for Grants (2014-15) of the Ministry of Social Justice and Empowerment (Department of Empowerment of Persons with Disabilities). 10 (16 Lok Sabha) Statement showing final Action Taken by the Government on the observations/recommendations contained in the Tenth Report of the Standing Committee on Social Justice and Empowerment (Sixteenth Lok Sabha) on Action taken by the Government on the observations/ recommendations contained in the Forty-sixth Report of the Committee (Fifteenth Lok Sabha) on the subject "Implementation of Prime Minister’s New 15 Point Programme" of the Ministry of Minority Affairs. 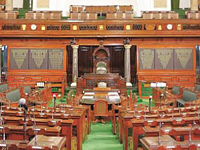 19 (16th Lok Sabha) Statement showing final action taken by the Government on the observations/recommendations contained in Nineteenth Action Taken Report of the Standing Committee on Social Justice and Empowerment – 2014-15 (Sixteenth Lok Sabha) on the observations/recommendations contained in Third Report on Demands for Grants (2014-15) of the Ministry of Tribal Affairs. 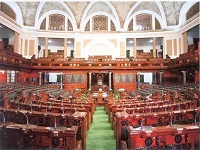 8 (16th Lok Sabha) Statement showing final action taken by the Government on the observations/recommendations contained in Eighth Action Taken Report of the Standing Committee on Social Justice and Empowerment – 2014-15 (Sixteenth Lok Sabha) on the observations/recommendations contained in Forty-fifth Report on the subject "Review of the functioning of National Institutes working in the field of Disability" (Fifteenth Lok Sabha) pertaining to the Ministry of Social Justice and Empowerment (Department of Empowerment of Persons with Disabilities). 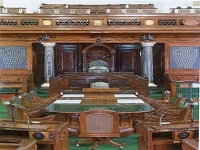 18 (16th Lok Sabha) Statement showing final action taken by the Government on the observations/recommendations contained in Eighteenth Action Taken Report of the Standing Committee on Social Justice and Empowerment – 2014-15 (Sixteenth Lok Sabha) on the observations/ recommendations contained in Fourth Report on Demands for Grants (2014-15) of the Ministry of Minority Affairs. 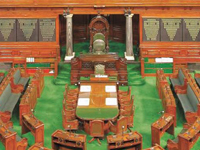 16 (16th Lok Sabha) Statement showing final action taken by the Government on the observations/recommendations contained in Sixteenth Action Taken Report of the Standing Committee on Social Justice and Empowerment – 2014-15 (Sixteenth Lok Sabha) on the observations/recommendations contained in First Report on Demands for Grants (2014-15) of the Ministry of Social Justice and Empowerment (Department of Social Justice and Empowerment). 9 (16th Lok Sabha) Statement showing final action taken by the Government on the observations/recommendations contained in the Ninth Report (Sixteenth Lok Sabha) on the Action Taken by the Government on the observations/ recommendations contained in the Forty-fourth Report (Fifteenth Lok Sabha) on the subject "Working of Ashram Schools in Tribal Areas" of the Ministry of Tribal Affairs. 42 (15th Lok Sabha) Statement showing final action taken by the Government on the observations/recommendations contained in the Forty-second Report (Fifteenth Lok Sabha) on the Action Taken by the Government on the observations/ recommendations contained in the Thirty-seventh Report (Fifteenth Lok Sabha) on Demands for Grants (2013-14) of the Ministry of Minority Affairs. 43 (15th Lok Sabha Statement showing final action taken by the Government on the observations/recommendations contained in the Forty-third Report (Fifteenth Lok Sabha) on the Action Taken by the Government on the observations/ recommendations contained in the Thirty-fourth Report (Fifteenth Lok Sabha) on Demands for Grants, 2013-14 of the Ministry of Tribal Affairs. 41 (15th Lok Sabha) Statement showing final action taken by the Government on the observations/recommendations contained in the Forty-first Report (Fifteenth Lok Sabha) on the Action Taken by the Government on the observations/ recommendations contained in the Thirty-sixth Report (Fifteenth Lok Sabha) on Demands for Grants, 2013-14 of the Ministry of Social Justice and Empowerment (Department of Social Justice and Empowerment). 40 (15th Lok Sabha) Statement showing final action taken by the Government on the observations/recommendations contained in the Fortieth Report (Fifteenth Lok Sabha) on the Action Taken by the Government on the observations/ recommendations contained in the Thirty-fifth Report (Fifteenth Lok Sabha) on Demands for Grants, 2013-14 of the Ministry of Social Justice and Empowerment (Department of Empowerment of Persons with Disabilities). 38 (15th Lok Sabha) Statement showing final action taken by the Government on the observations/recommendations contained in the Thirty-eighth Report (Fifteenth Lok Sabha) on the Action Taken by the Government on the observations/ recommendations contained in the Twenty-seventh Report (Fifteenth Lok Sabha) on the subject "Scheme of Multi-sectoral Development Programme" of the Ministry of Minority Affairs.